Electronic identity verification (IDV) tools, or real time IDV tools, are one of the simplest and most effective ways for companies and financial institutions to quickly and easily verify the identity of their clients. encompass are delighted to have partnered with leading IDV provider, The Global Data Consortium (GDC). encompass has integrated with the GDC Worldview system to bring you real-time access to access the world’s most reliable sources for identity verification. 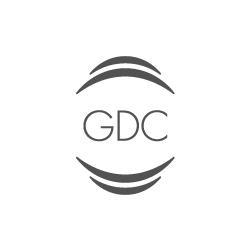 GDC takes a different approach to global identity verification by integrating directly with local partners in the countries currently covered by their Worldview platform. Because data resides on local servers, it is not subject to privacy regulations, is refreshed frequently, and is therefore more current. Searches of GDC through encompass will verify the following elements in the included countries using credit, government, telco, utility and postal records. A reliability score is returned when identifying an entity. The score is based on the complete, partial or non-match of identity elements. The return scores can be; 10 = Good, 20 = Questionable or Doubtful, 30 = Not Correct or Insufficient Information provided to produce a reliability result. rule set. encompass will mark the entity as being successfully verified. Messages and match types are sufficient to consider this as a possible match/pass. encompass will mark the entity as NOT verified. There may or may not have been matched elements but it is doubtful this is sufficient information. encompass will mark the entity as NOT verified. GDC’s identity verification matches entities against credit, government, telco, utility and postal records. We are delighted to be able to bring the world’s leading ID and verification providers to the encompass platform. Adding GDC to our existing suite of data providers offers encompass customers an unparalleled range of trusted sources covering everything from screening to credit checks to ID and verification globally.